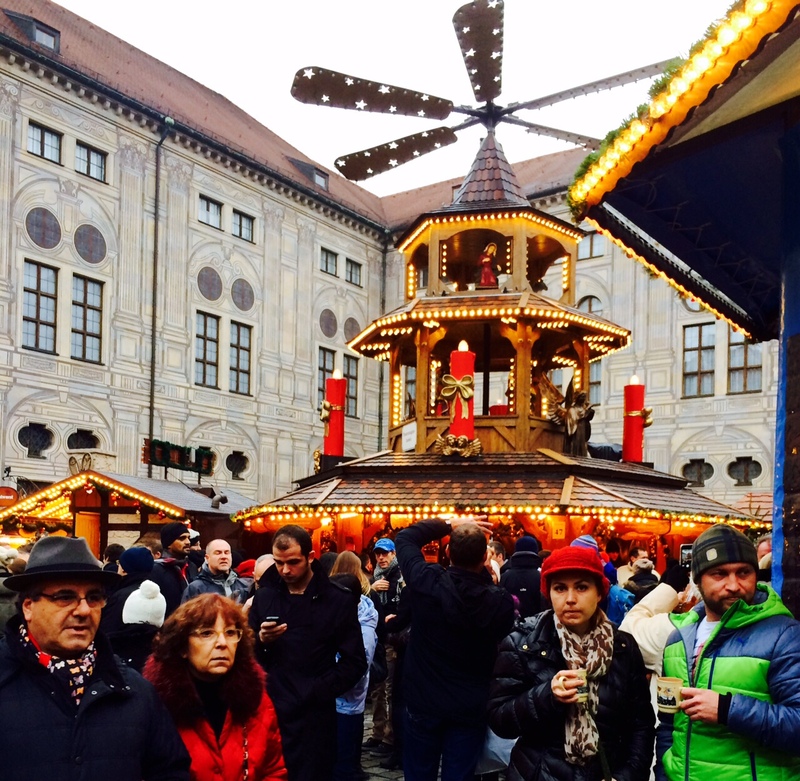 A giant revolving “pyramid” for the Christmas Markets in Munich Germany. 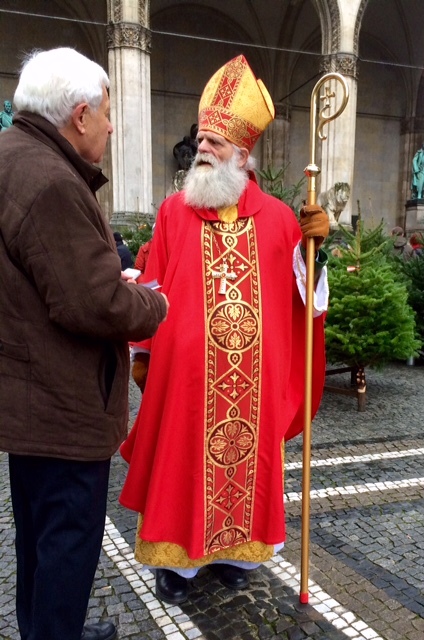 Good King Wenscelas walks through downtown Munich Germany. 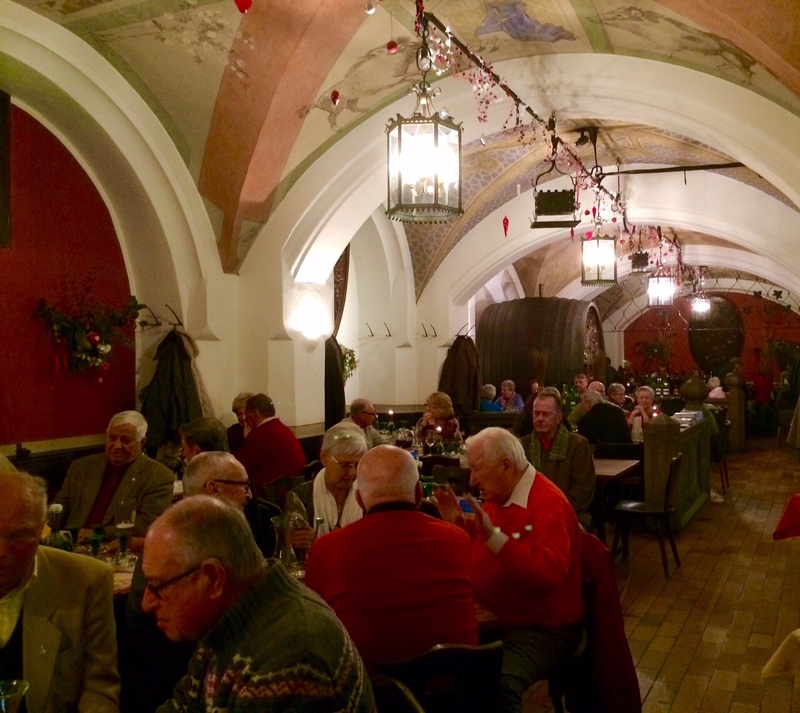 The wonderful Ratskeller Restaurant in city hall, Munich Germany. 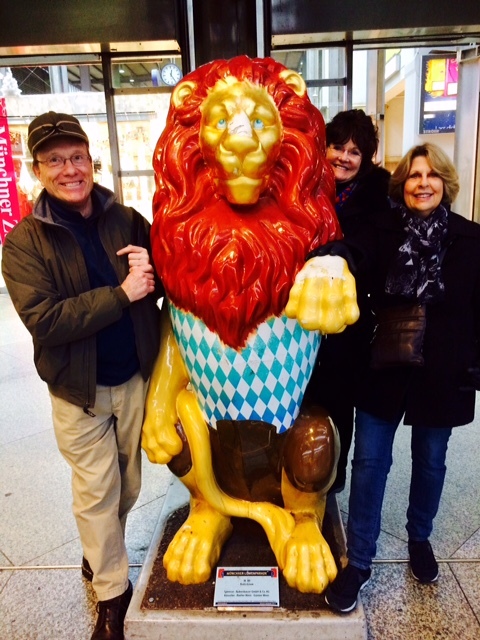 Arrival back in Munich Germany to explore more of the City and the Christmas Markets. 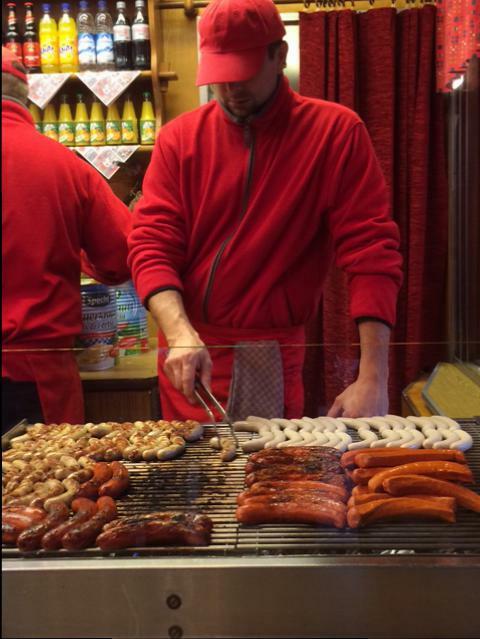 Brats at an open air stand at the Christmas Markets in Munich Germany. 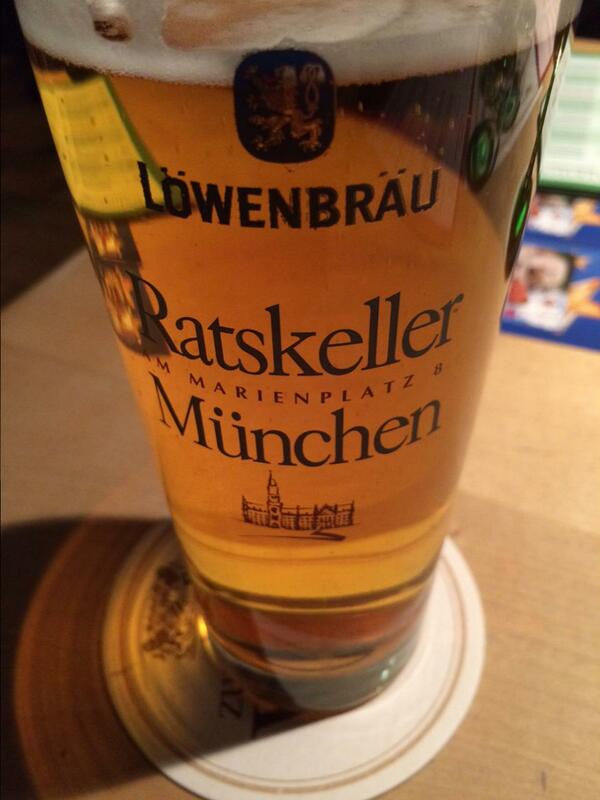 A half liter of heaven, Lowenbrau Bier, Munich Germany. 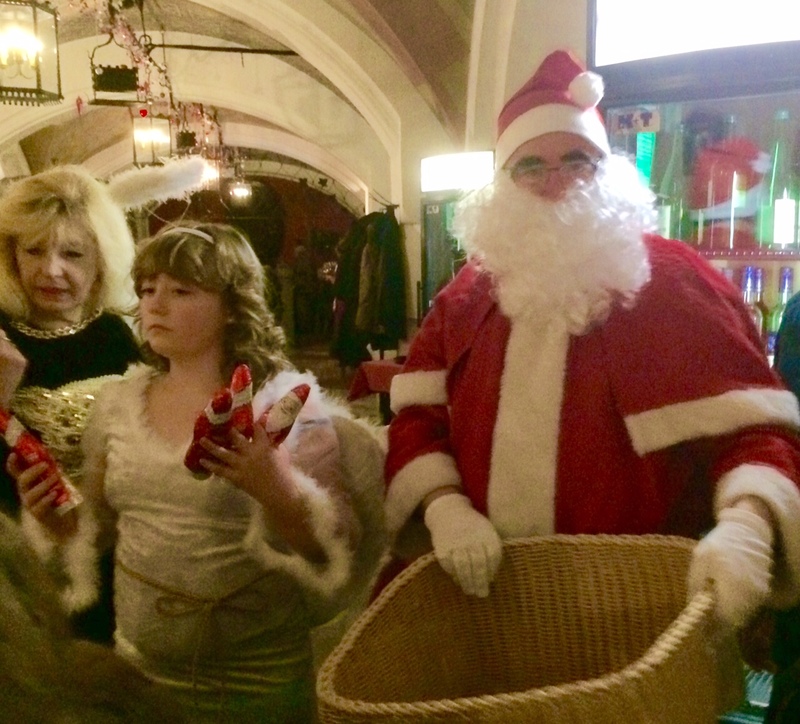 Santa and the Angle passing out gifts in the Ratskeller Restaurant in downtown Munich Germany. 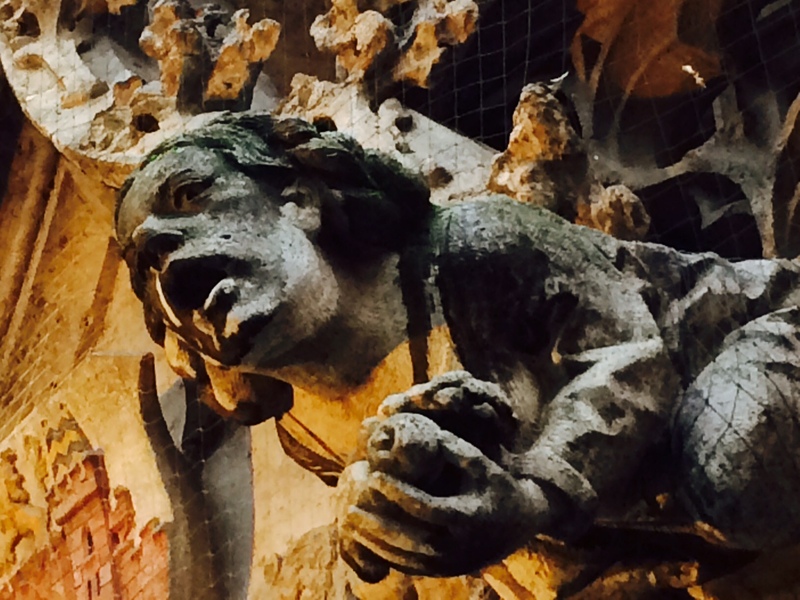 Ghost-like gargoyles adorn the Munich City Hall. 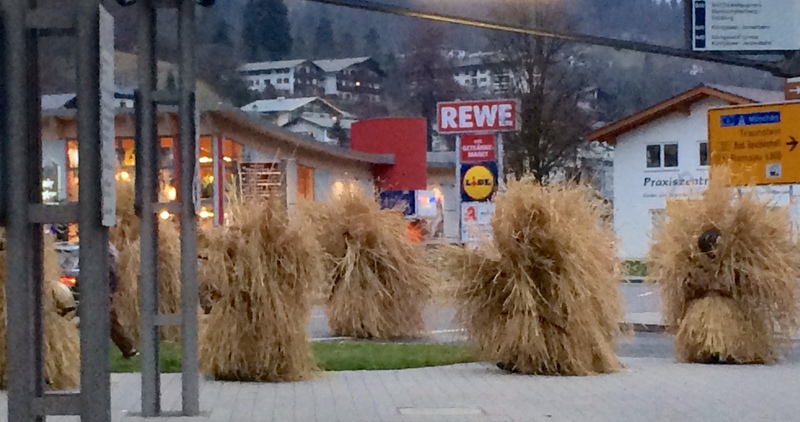 A Bavarian Christmas tradition: an Abbott, the Strawmen and a Boese parading through Berchtesgaden Germany. 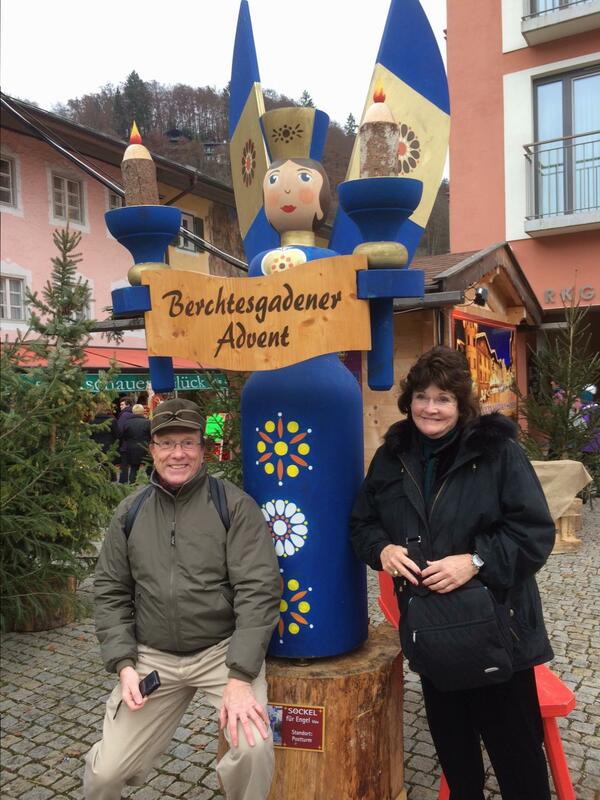 Arrival in Berchtesgaden Germany, high in the Alps, for the Christmas Markets.